Dora loves the kindergarten and today the kids may bring an instrument with them to play on because it is the music day. 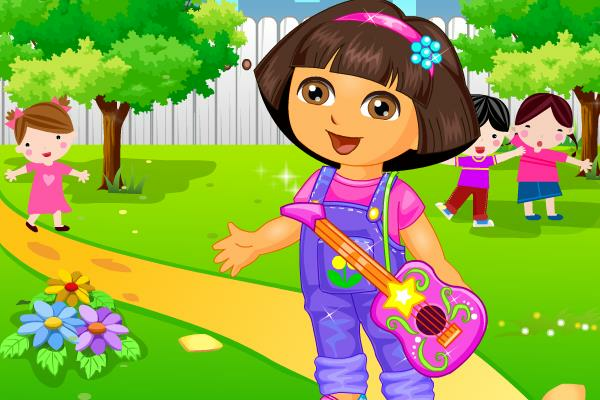 Dora brought her guitar and is playing for the kids at the school yard. In this game you can dress Dora up in school clothes just as you would want to wear. You can as well change Dora's hairstyle and choose cool accessories for her.